I’m late to the party with this bit of news but as everyone who stumbles across this blog will no doubt already know Lord Cantabrigian British (aka Richard Garriott) has announced something of a return to his roots in the form of Shroud Of The Avatar. 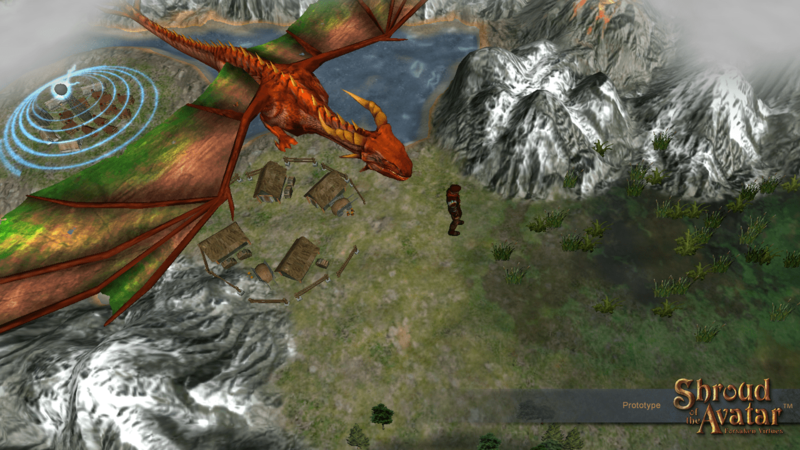 The game is an Ultima-esque fantasy RPG that is being partially funded on Kickstarter. I won’t repeat it here but all the information you could wish for should be one of those two sites. If you want to see another RPG from Lord British, head over there and throw in a few quid. As for my own opinion, what I’ve seen of SOTA isn’t even close to what I was expecting from the long awaited Ultimate RPG and for the most part this is for the better. It looks to be less of an MMO than anticipated and is trying to walk the line between single player/multiplayer RPG’s. It most definitely isn’t a Facebook game and is targeting PC’s and not tablets. There must have been a serious change of direction at some point since I got to visit Portalarium back in October as it just doesn’t fit with anything we were told at the time. The Portalarium meeting room was plastered with Ultimate RPG concept art none of which bears the vaguest relation to Shroud Of The Avatar. Instead SOTA is blatantly inspired by Ultima to what must be copyright pushing extents. I’m not about to complain about getting such a clear spiritual successor and hope it will live up to heights of the series. The details on the game are a little patchy for my liking at the moment, hopefully more will come out throughout the Kickstarter. As for Kickstarter goodies, I’d really like to see a boxed option with a manual in the rewards especially since this is Richard Garriott who pioneered giant boxes for PC games in the first place. The physical rewards are perhaps a little stingy as they are but extra tiers may be planned. Whatever your opinion of the game, the Kickstarter promises to be great fun for anyone interested in Origin/Ultima with gems like the Youtube chat with Iolo and the chance for Richard Garriott to fit in as many interviews as possible in the next month. If I’m honest there are other projects I’m more excited about on Kickstarter right now but no other campaigns that I’ll be following with half as much interest. Next on the list are some Jiffydos ROM chips to speed up the interminable loading times. The Commodore disk drives were not exactly speedy without a little help. My console corner is starting to fill out anyway and there will be a SNES and Megadrive making home in there next week. Something to sit my C128 on wouldn’t be a bad idea at this point & I may have to do something with those yellow keys. The photo on the right is a SD2IEC drive which I got from sd2iec.co.uk and I thought I should give it a quick plug. 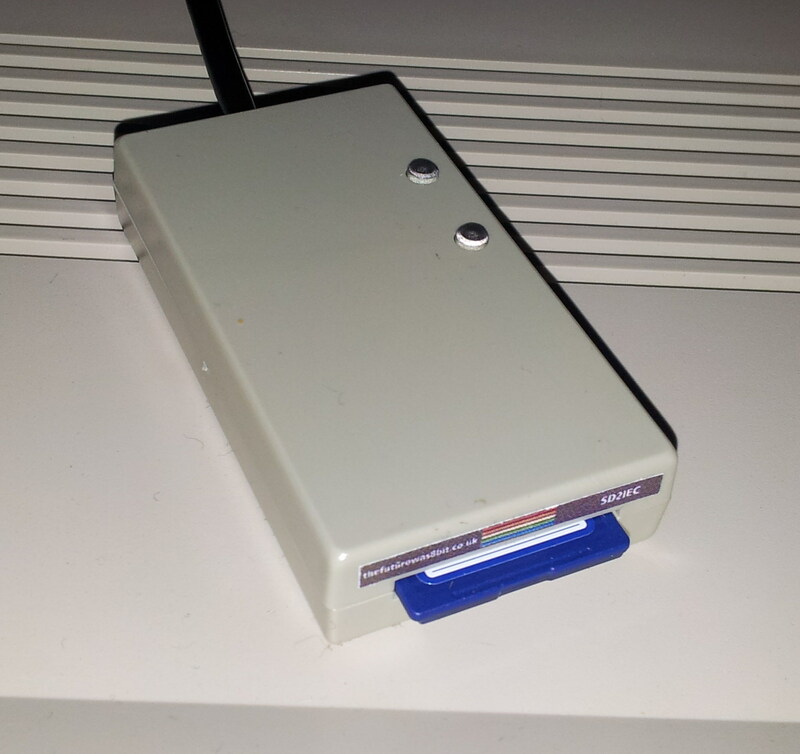 This is a great little gadget that emulates a 1541 disk drive (to an extent) and allows me to shove floppy images on an SD card and load them as though they were a real disk on the C128. It doesn’t support all fastloaders meaning some games may be incompatible but there are versions of nearly every game which will work with it. The fully compatible alternative is 3-4x the price and probably overkill for most people. 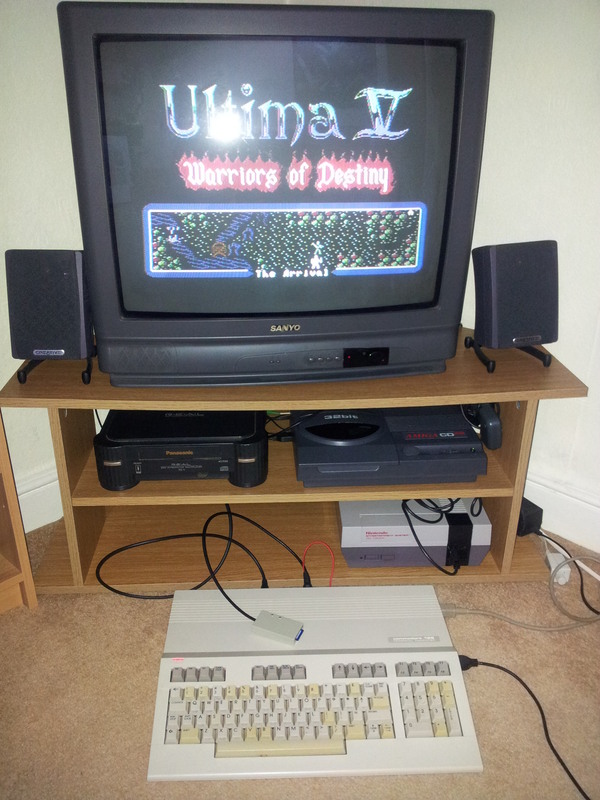 Aside from being activity LED’s, the green dots on the top of the drive act as a reset button (to take you back to the root directory), and a disk swap button for multi-disk games like Ultima V. It’s run nearly everything I’ve tried and all in all is an essential bit of kit if you own any type of old Commodore. It’s great to see people offering quality devices like this for such ancient hardware and I wouldn’t want to own some of these old machines without the added convenience of flash carts and their ilk. I’m still playing Wing Commander 3 on the 3DO in the meanwhile and am up to CD #3. I’ll hold off until I’ve finished it before a second post which is probably going to be the middle of next week. This entry was posted in Origin Related, Shroud Of The Avatar by Pix. Bookmark the permalink.